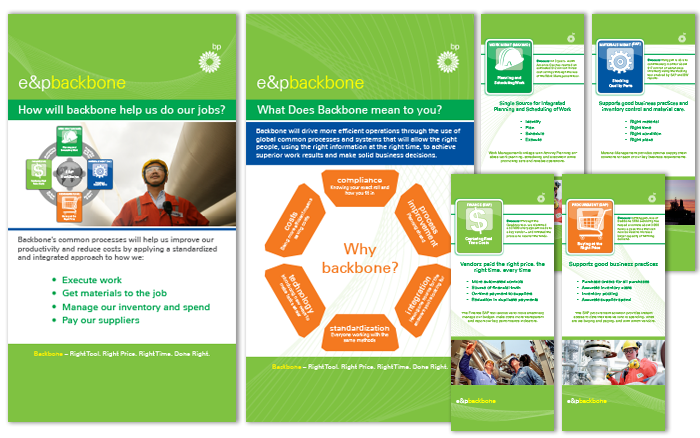 For over 6 years I have been developing work for BP through marketing firms and direct client relationships. Most of the work I have created for them is internal and cannot be shared publicly. Below are samples and approved projects I can share. 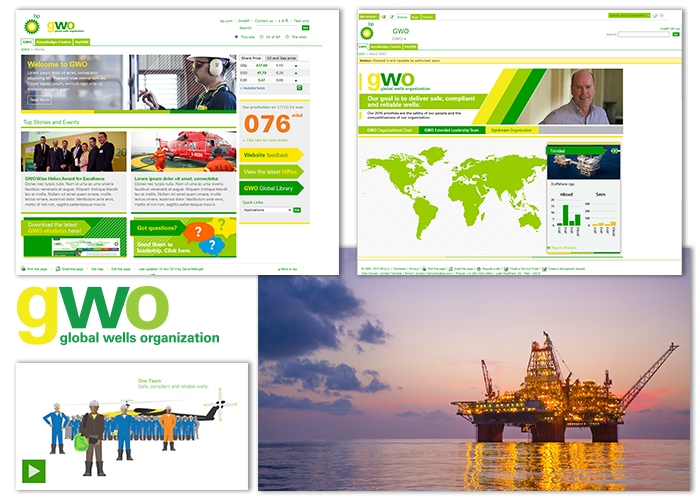 I was tasked to design and develop the GWO department of BP’s internal website. The site is using SharePoint and includes interactive maps, news, and feeds from other sources. 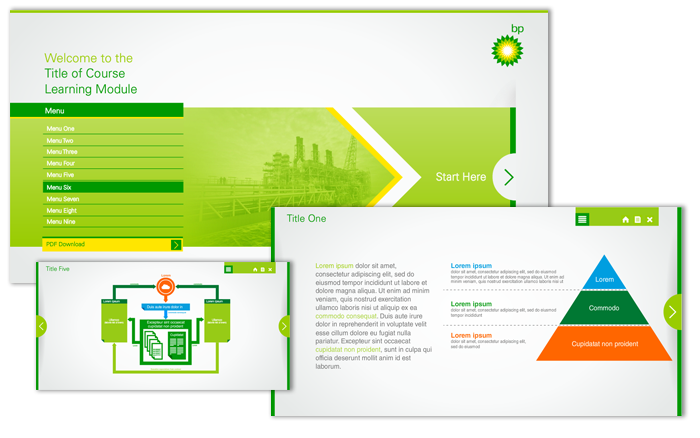 I designed and programmed 3 different training modules for BP’s PSCM department. The modules were built in Flash and put up on their internal SharePoint site. These posters were developed for large portrait banners standing in a convention. They express the mission for the internal department of E&P Backbone for BP. The CTO department of BP asked me to storyboard, illustrate, and animate a Flash video containing a voice over depicting the merits and mission of their department. Unfortunately, the content is considered internal and I cannot release the video, but these shots do not contain any internal information. 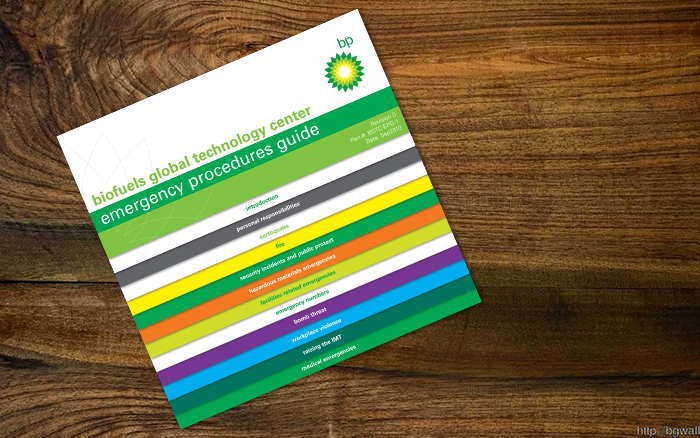 This printed brochure discusses the emergency procedures for the Biofuels Global Technology Center. 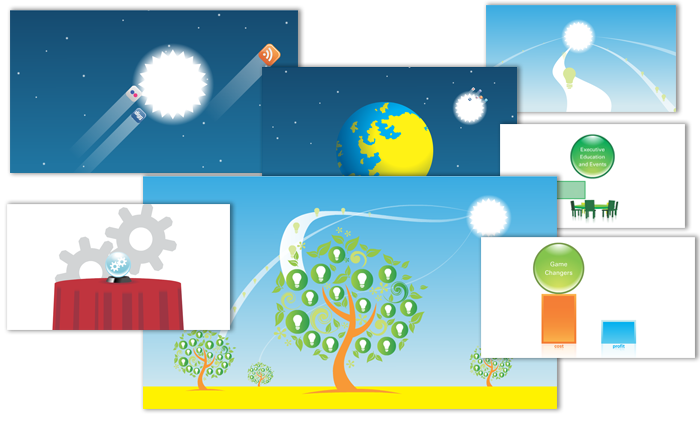 It is a simple guide that can be looked through quickly depending on the user’s needs. 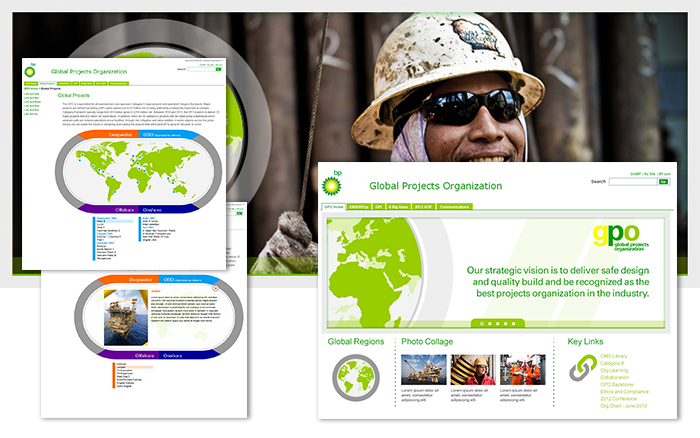 This internal site created in SharePoint for the GPO department of BP was designed from scratch and incorporates an interactive map that allows the user to see the influence of their department throughout the world. 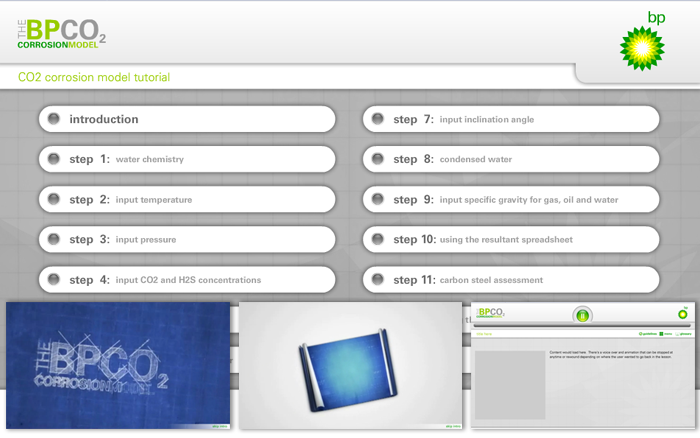 I created this Flash training module for BP which incorporates video, quizzes, and interactive elements.